Our submission to the New England Quilt Museum Summer celebration of New England Guilds is getting a great deal of attention. Stella Blunt’s Civil War Bride quilt is getting a lot of votes for best in show. The show lasts until August 16. The quilt that gets the most votes qualifies the guild it represents to hang quilts from that guild in the Museum. 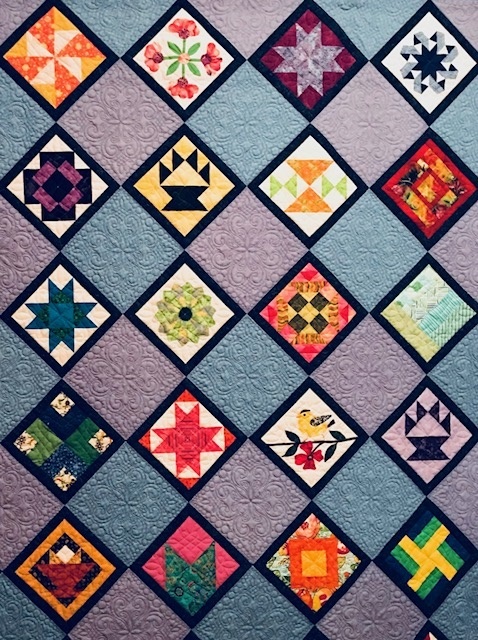 We have a real chance to have a Merrimack Valley Quilt show at NEQM. We are so close to Lowell and the show is beautiful. Everyone who attends the Summer Celebration ( it is free) gets a vote. Park at the Visitors Center, enter from Dutton Street and get your parking ticket validated. The museum is only a block away. Go between August 1 and August 29 and you can stop in across from the Courtyard at the center and see the Broad Strokes Exhibit. Lecture and Demo will be at the Brush ,Saturday August 10th at 2:00. Note that the Broadstrokes demo will be at 2pm on Saturday August 8th. On my way to the museum tomorrow to vote! Tried last Tuesday but the museum was closed for set up. Looking forward to it!